What’s the point of removing double vertices in Blender? 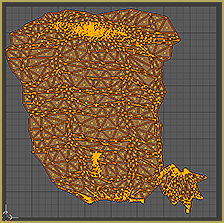 How do I remove double vertices? Why isn’t my UV map continuous? Why are there double vertices? Double vertices happen when there are two identical vertices in the same exact spot. If you made your own model in Blender and took care to make sure there were none… you would likely be surprised when you import your PMX model into Blender and find a whole bunch of them. I can’t tell you why exporting to PMX suddenly adds a ton of random extra vertices… But I can tell you what those random vertices do to your workflow. 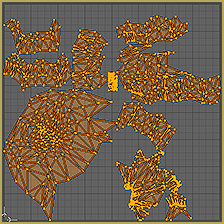 While there are likely many effects from the added vertices, I’ve only found one problem that truly necessitates removing double vertices to fix. 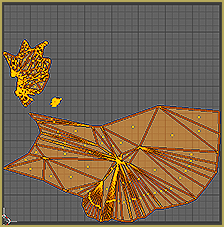 That problem is UV maps. Ouch! For sure, that isn’t what I want. For her hair texture to work out, I want the braid’s UV map to be one continuous piece. How do we fix this? While I’ve used “Remove Double” plenty of times with no ill effect… It only takes one really bad experience to make you paranoid. I was so proud of my texture for one dress, but somehow just removing doubles destroyed the physics. If removing doubles messes up the physics, hopefully all it can be fixed by weighting the vertices again. She’s rocking her new hair texture!